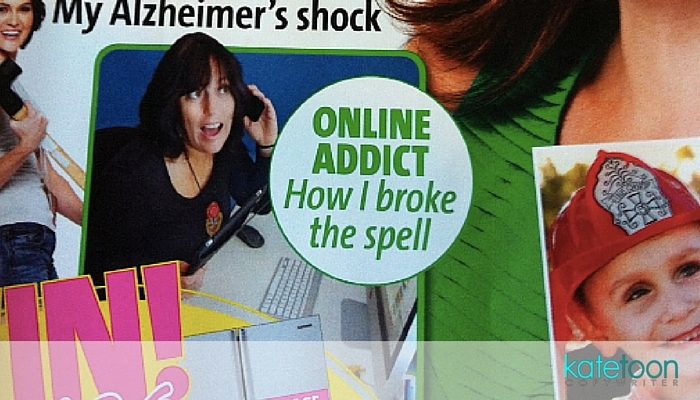 I never thought of myself as cover girl material. 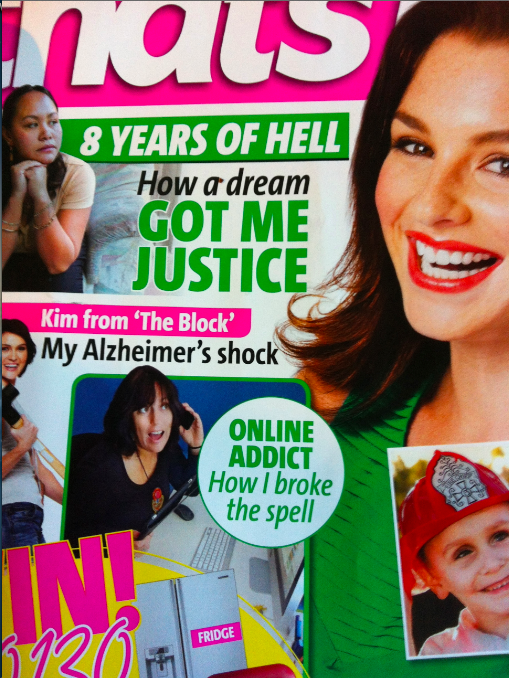 But today as I wandered past the newsagents with my dog Pamplemousse, I saw my face on the cover of That’s Life. Which is at once totally naff, cool, depressing and awesome! 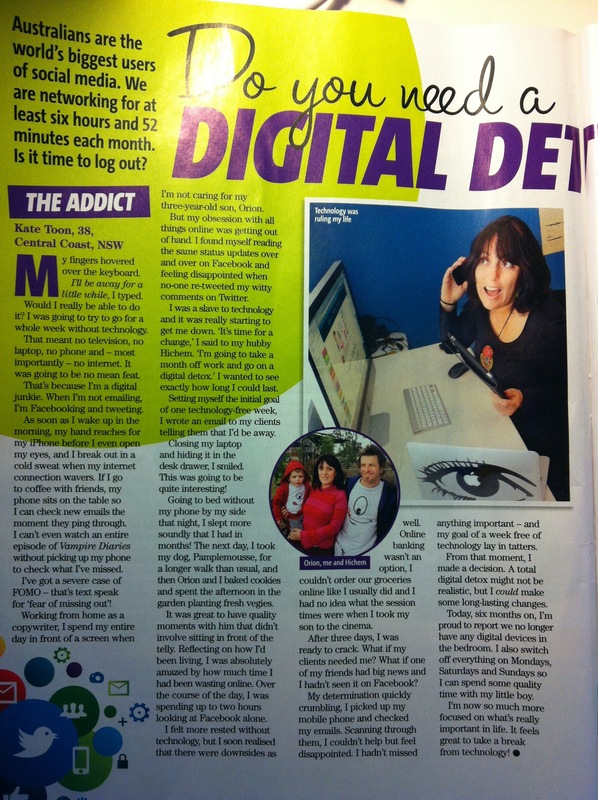 Check out my cover girl moment and click on the image to read the full article, where I exaggerate mildly about my digital addiction and my attempt to detox.